Maximize the impact of your donor contributions by controlling costs. 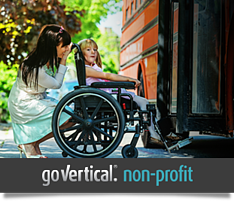 As a non-profit, you know the value of stretching your budget as far as you can. You need to communicate between staff, donors, volunteers, and the press. Regulatory compliance is critical –Sarbanes-Oxley and IRS 501(c)(3) guidelines are only two. Your IT infrastructure and office equipment can be crucial tools that save money and improve productivity, especially with the right technology partner to help you match the right technology to your business needs. Precise color printing makes collateral pop, enhancing response from donors for fundraising and service opportunities. Cost-recovery for printing and copying allows administrative staff to monitor and manage donations, grants, and budgets and show the board exactly how those dollars are spent. Improve speed of information retrieval and automate business processes with workflow and document management software. Keep donor information confidential by understanding and using the security features of your digital copiers, including encryption and pull printing. 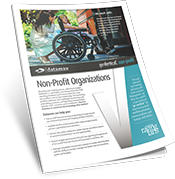 Non-profit organizations go Vertical® with Datamax Arkansas with efficient workflow, faster communication, and an improved bottom line. Let's talk.